Här har vi en VGA till HDMI konverter som också skalar upp signalen vid behov. Som bonus har denna produkten även möjligheten att bädda in en 2 kanals ljudström i HDMI signalen. 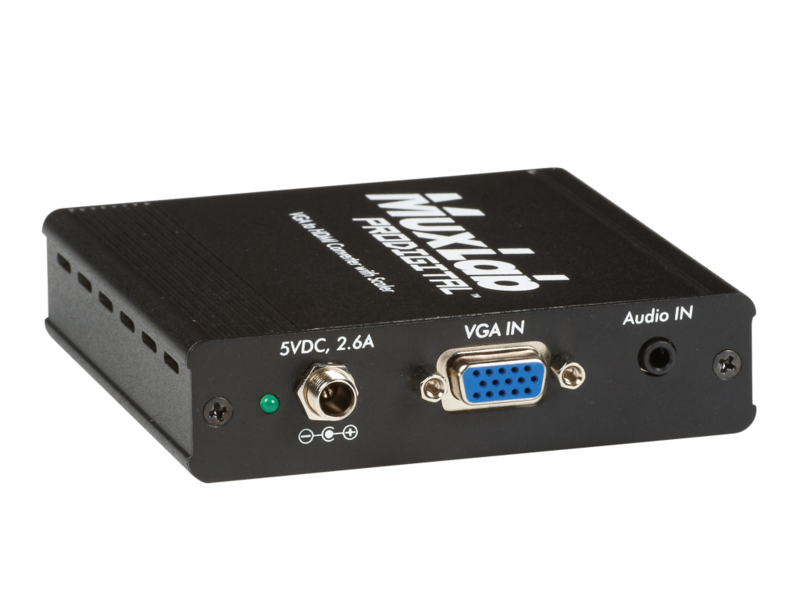 The VGA to HDMI Converter with Scaler is designed to scale analog video from PC input source to digital HDMI output of wide-range HD and PC resolutions up to 1080p or WUXGA. Besides video scaling, the device can convert analog stereo audio input to digital format and embed it to HDMI output as 2-Channel LPCM. This unit has a comprehensive resolution button that allows user to select a variety of output resolutions and adjust for best picture quality.